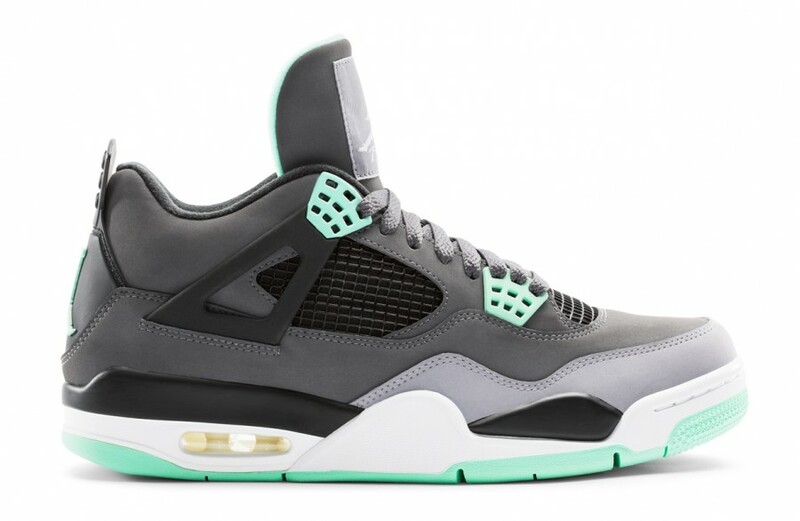 On August 17, 2013, the Jordan IV "Green Glow" will be released to the public. This is a new colour way that has been splashed on the Jordan IV. But don't be mistaken, these don't glow in the dark but instead are meant to illuminate with regular lighting. The green glow pops nicely in contrast to its dark grey nubuck upper. This pair is crazy, I wish you the best of luck on getting your hands on these! I would recommend going to Momentum 8th or Foot Locker with a measly $200.